Tomorrow's News Today - Atlanta: [EXCLUSIVE] The Ritz-Carlton Buckhead to be Sold, Re-flagged? 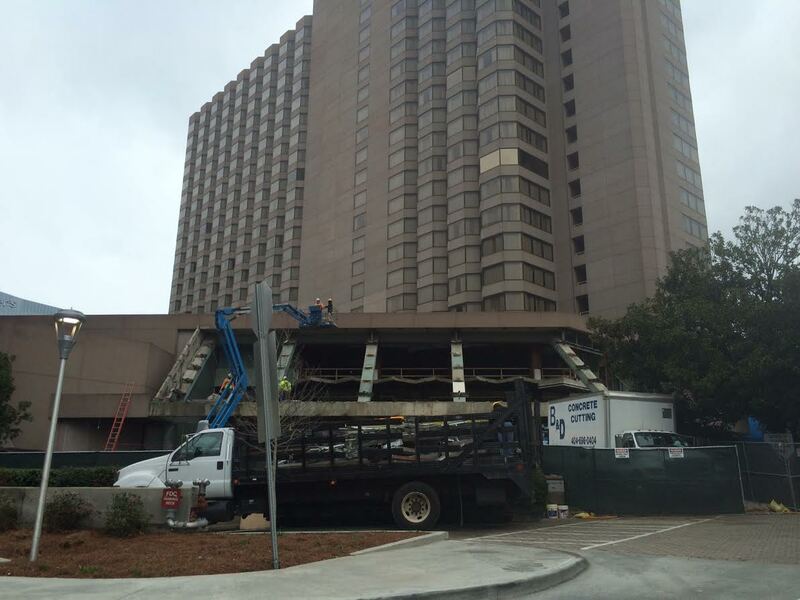 [EXCLUSIVE] The Ritz-Carlton Buckhead to be Sold, Re-flagged? The Ritz-Carlton Buckhead to be re-flagged. 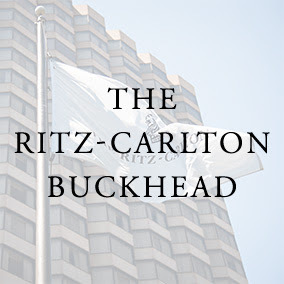 Well-placed sources indicate that The Ritz-Carlton Buckhead will soon be sold and re-flagged. The hotel, the oldest continuously operating The Ritz-Carlton in the world, opened in January 1983. William B. Johnson, then a Waffle House franchisee, purchased the rights to The Ritz-Carlton brand in 1983, and converted what was then the Monarch Hotel under construction into The Ritz-Carlton Buckhead. The Ritz-Carlton Buckhead is today owned by Bethesda, Maryland-based Host Hotels & Resorts, a real estate investment trust. In addition to The Ritz-Carlton Buckhead, Host also owns the Grand Hyatt Atlanta in Buckhead, The Westin Buckhead Atlanta and the JW Marriott Atlanta Buckhead. Host also owns five other The Ritz-Carlton Hotel properties around the country in addition to various other hotels. In 2012, the company spent nearly $4 million to renovate the lobby, ballrooms, meeting space, restrooms, fitness area and pool area. It was during this renovation that the hotel started to lose sight of its core clientele: older, educated, wealthy and classy individuals. The hotel sold off much of its finest art and furniture and replaced it with cheap, generic alternatives. The hotel is currently in the midst of a restaurant and bar renovation that will reportedly cost about $5 million. The project, which continues the questionable moves made during the lobby renovations, will remove, among other things, the hugely popular and classic lobby fireplace. While it is surprising to see Host dedicate so much capital to an asset they intend to sell, the restaurant renovation had been "on hold" for years, and for the funds to finally be allocated for it reportedly came as a bit of a surprise to local management. The fact that the hotel lost its AAA Five Diamond status this year, unofficially the second year in a row, seems to have been the impetus for the reported sale. Many of the Ritz's best guests, the guests it NEEDS to thrive, the guests that pay the premium rates its needs to survive, will only stay in Five Diamond rated hotels. Additionally, many travel agents and groups will only stay in Five Diamond hotels. The fact that the hotel does not have a Five Diamond rating means it must further reduce its already depressed rates even further. Tonight for instance, a standard room at The Ritz-Carlton Buckhead is being sold for only $244 per night, whereas a standard room at St. Regis Buckhead is running $399 per night. This past week, one guest took to popular review site TripAdvisor to voice concerns over what they felt was a hotel in need of renovation. "Ritz...It is time to renovate! The service was fantastic, the amenities in the lobby were lovely, but the rooms need a big, old REDO!!!! They are dated, musty, small and anything but 5 stars. I was shocked to go into the bathroom (which looks like a hampton inn) and find that the showers still had curtains. The curtains were also old and dirty and the towels lacked any form of luxury. We have stayed in several Ritz across the country, and this is the most disappointing property. Along with the rooms needing a redo, we had a late snack in the downstairs restaurant. The menu was dated and totally matched the room. The food lacked personality and reminded me of a chain restaurant. Once again, service was great, but what they served was below average. Hope they are renovating more than just the lobby. I will not pay 5 star prices for a 3 star hotel." Our team of ladies and gentlemen and I are delighted to know that you found our service to meet your expectations. We take a lot of pride in providing our valued guests with a highly personalized experience, as we make it our mission to anticipate and deliver on the expressed and unexpressed wishes and needs of our guests. While our hotel undergoes a transformation and updates to several areas are taking place, we expect to reveal our new bar, restaurant and meeting spaces later this summer. We value your comments and pride ourselves on the mindset of continuous improvement; as such, we look forward to your return, so you may enjoy our traditionally elegant hotel with the new added elements, while our team of service professionals will continue to find ways to surprise and delight you." It's curious that Schinnerl would mention the hotel's "highly personalized experience," yet refer to the guest only as "guest," and reply with what appears to largely be a boilerplate response that fails to address most of the concerns mentioned in the review. The Ritz-Carlton Buckhead must often go for quantity over quality in an effort to "put heads in beds." This strategy may keep occupancy high, but it can have a significantly adverse effect on the hotel's bottom line. The hotel offers a government rate (i.e. state employees like school media center staff) of only $140. While this is a great rate, and as a mechanism to fill the hotel, does its job, it can also attract guests who may take advantage of the hotel. An unpublished, but widely known policy of The Ritz-Carlton Hotel is that its ladies and gentlemen are "empowered" to spend up to $2,000, per guest, per day, to make a guest's stay better. In my experience (as a past employee of the Ritz Buckhead), it was often the lowest paying guests that complained most often and were compensated the greatest amounts. This unbalanced equation is likely weighing on the hotel's profits as it attracts a greater percentage of low-paying guests. At some point, it becomes unprofitable to operate such a large luxury hotel, paying premium franchise fees, when you are unable to charge premium rates. Additionally, The Ritz prides itself on premium service levels: "ladies & gentlemen serving ladies & gentlemen." Unfortunately, management would often not treat its employees as the ladies and gentlemen they praised them for being. Employee morale has reportedly hit new lows in recent years, with benefits such as room rate discounts reduced, and on-the-job benefits like complimentary meals, substandard at best. Hotel management reportedly revealed its pending sale and name change to employees at an "all employee" meeting last week. While many employees were caught off guard by the news and others are in denial, the writing has been on the wall for months. Within the past year, a number of key personnel have left the hotel, not for other careers, but for comparable jobs at other hotels, in most cases other The Ritz-Carlton properties. Jenny Piccione, Director of Human Resources, left the property last year and was soon followed by Adil Drief, Front Office Manager. More recently, Julie Rollend Shamrock, Area Communications Manager, left, as did Franck Steigerwald, Executive Chef, Sheila Buciuman, Executive Assistant Manager, Rooms Division and Jace Lange, Assistant Front Office Manager. Casey Duggan, Les Clefs d'Or Concierge, may be the most recent departure. Duggan joined the hotel this past November from a hotel in California and barely seven months later returned to California. The positions vacated by Drief, Buciuman, and Duggan have reportedly all remained unfilled, likely due to the impending sale. It's also worth noting that Host Hotels has been reducing its Atlanta presence in recent years. On January 11, 2013, Host sold the 1,663-room Atlanta Marriott Marquis in Atlanta for $293 million. Later that November, Host sold the 244-room Four Seasons Hotel Atlanta and the associated office space for $62 million to Cascade Investment, a private equity firm headed up by Microsoft co-founder Bill Gates. At the time of the Marquis sale, Host executive vice president, corporate strategy (now CFO) Gregory Larson made an interesting comment about the firm's presence in Atlanta. "This sale meaningfully reduces our overall market presence in Atlanta, which now represents approximately 3% of our total revenues." While this quote does not explicitly say the firm was looking to further reduce its Atlanta presence, it hints at it. Interestingly, according to a few employees with whom I spoke in preparation for this post, The Ritz-Carlton Atlanta downtown may also be at risk. Employees from the Buckhead property, seeking to transfer downtown, are reportedly being told that the downtown hotel is also being re-flagged as a JW Marriott. There are various rumors about the fate of the Buckhead property but the one that appears most likely is that Hilton Hotels will take it over. McLean, Virginia-based Hilton Hotels has long sought a meaningful presence in the Buckhead market. Hilton is represented in Buckhead by some of its mid-scale and limited service brands such as the DoubleTree, Embassy Suites and soon, two Hampton Inn properties, but is without an upscale or luxury hotel in the area. In 2006, a 300 room Hilton Hotel was proposed at the corner of Stratford and Peachtree Roads near Maggiano's but the plan failed to come to fruition. As recently as late 2015, a dual branded, 248 room Hilton Garden Inn/Homewood Suites by Hilton was proposed on the same site, but again failed to materialize. The property is currently being developed by The Related Group into a 363 unit apartment complex. I spoke with a number of hotel development executives at last week's ICSC RECon convention in Las Vegas. The convention, which attracted nearly 40,000 attendees, provided better insight into what brand(s) may replace the Buckhead Ritz. While no representative was willing to go on record, the conversations I had lead me to believe there is a deal in the works with Hilton to bring the operator to the Buckhead Ritz. I was able to confirm that there are no imminent plans to bring the Waldorf Astoria brand to the Atlanta market. The Waldorf Astoria is Hilton's most premium brand and would most closely align with The Ritz-Carlton Buckhead's current positioning. While it's possible that Hilton would consider bringing their Conrad, another upscale hotel brand, to Buckhead, it's unlikely, given that 500+ room non-resort luxury hotels are rarely being built. The thought that the hotel could convert to part condo, part hotel is also unlikely given the positioning of the guest elevators does not allow for a private or separate entrance for residents, like those at the St. Regis, Mandarin Oriental and others do. The most likely outcome, if Hilton is in fact behind the buy, is for the hotel to become a dual-branded property. 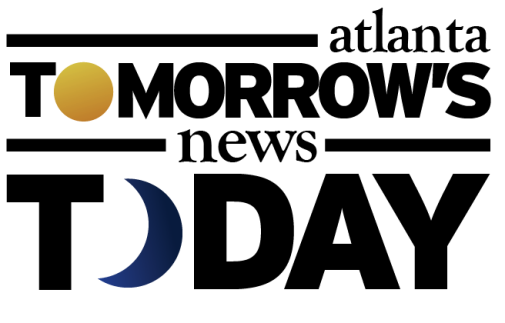 A growing trend in hotels, dual-branded properties allow for an operator to appeal to two separate guest segments on one site. National Real Estate Investor, a popular online industry publication, published an interesting article last year on the trend of dual-branded hotel projects. In 2014, InterContinental Hotels Group (IHG) converted the former Renaissance Midtown, which was then the Melia Hotel, into a dual-branded Crowne Plaza/Staybridge Suites Hotel. The property, located on West Peachtree Street in midtown Atlanta, was reduced from 501 rooms to about 460 when the conversion was complete. Also in Midtown, a dual-branded Homewood Suites by Hilton and Hilton Garden Inn Hotel opened in late 2012 on 10th Street. The hotels have a total of 228 rooms. If Hilton does enter the market with its flagship Hilton brand, it would be the first new Hilton Hotel in metro Atlanta in over 40 years. The 1,242 room Hilton Atlanta downtown was built in 1974 and was purchased by New York-based private equity firm Apollo Global Management in late 2015 for nearly $146 million. Although there is no definitive word on who the buyer of the Ritz Buckhead may be, one likely candidate is China's Anbang Insurance Group. Anbang purchased New York's landmark The Waldorf-Astoria Hotel in 2014 for $1.95 billion. The approximately 1,400 room hotel, built in 1931, occupies a full city block of prime New York real estate on Park Avenue. Anbang indefinitely closed the hotel this past February for assorted upgrades and renovations. 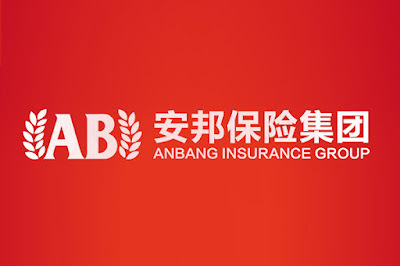 Last year, Anbang was also an active bidder (against Marriott International) to acquire Starwood Property Group. Marriott eventually acquired Starwood, but the Chinese firm's interest in western hotels has remained. The Ritz Buckhead surely deserves a better sale price than the former Ritz Dearborn received when it sold in 2010 for only $3 million. The approximately 300 room Dearborn property, now known as The Henry, an independent hotel, was built in 1989, and purchased by Host Hotels in 1998 for $64.8 million. Earlier this week, Atlanta-based Noble Investment Group revealed it sold the 291 room W Atlanta Buckhead for $73 million, roughly $251,000 "per key," or more precisely, per room. In 2010, InterContinental Hotels Group (IHG) sold its flagship property, the 422 room InterContinental Buckhead Atlanta, for $105 million to Maryland-based Pebblebrook Hotel Trust. This sale represented a per key cost of roughly $249,000. Assuming that The Ritz Carlton Buckhead commands a similar cost per key to that of the W, the price is likely to be in excess of $128 million. My attempts to reach The Ritz-Carlton Buckhead for comment have thus far been unsuccessful. There is no question that the Ritz's prime location at the corner of Lenox and Peachtree Roads in Buckhead, between Lenox Square and Phipps Plaza, is hard to beat. That said, if both Ritz properties are de-flagged, I would not be surprised to see the Ritz return in a few years, potentially in midtown, with a brand new building. Sources indicate that a deal is expected to be finalized as soon as late June. What are your thoughts on the likely changes at The Ritz-Carlton Buckhead? What is your favorite luxury property in Buckhead? If the Ritz does get re-flagged, what brand would you most like to see replace it? I can't stand Hilton hotel's ... They Hyatt brand is much better. Hope that deal fails. "a dual branded, 248 room Hilton Garden Inn/Homewood Suites by Hilton was proposed on the same site" -- not exactly the same site. The HGI/HS was down the hill on Stratford, behind Mandarin -- not at the corner of Peachtree. A new Ritz in Midtown? That's a song John Dewberry has been singing for years. Maybe he'll finally develop that corner at Peachtree and 10th. That was the rumor in the early 2000s. I swear I even remember seeing a sign to that effect there at one point. I feel like Eli wrote this article. Good for you. You've expressed alot of our feelings. There's a ton u don't know. Loyal Ritz people have tried to buy the rights but have failed. Host wants out of Marriott period. Buckhead offers the most money so that's that. As a former 8 year employee of Ritz-Carlton at a management level I can only respond by saying the response is full of the lingo that we are taught to say. We use words like expressed and unexpressed wishes, personalized service, my pleasure while delivering the service with a smile and genuine care and comfort means you must believe in what you are saying even if you don't. The looks of is strong and we all drank it when the hotel company was great and I was proud of my job. Then it slowly mariottized itself and became just another luxury hotel. I could speak for hours but I'll leave you wanting more. The Trip Advisor response by the GM are usually generated by middle management in the front of the house. While it is easy to address guest issues with service, it is difficult to explain subpar facilities at a luxury property with the name Ritz Carlton. The big take-away here is the value placed on being a 5-star, 5 Diamond property. How much would a property be willing to pay for a rating that demands $200 more per night? Interesting. Unfortunate circumstances for the staff at the property who take great pride in their work and their passion clearly shows based on the review posted here. So this is all the fault of Marriott? You think Hilton could have done better? Marriott saved RC from extinction. This property is the RC exception not the rule. If you're a former employee of the Ritz, you should've mentioned that much, much earlier in this piece, not buried in the middle amidst some pretty clearly held resentment. You complain when places aren't transparent with you; you should walk the walk if you expect others to. Atlanta is too important of a market for the lone Ritz downtown to be its only representative. Midtown seems natural, or another site in Buckhead. I was 'selected' to work there for 4 years. 'Ladies and Gentlemen serving Ladies and Gentlemen'. Whenever the name The Ritz Carlton, Buckhead name was mentioned, you just knew you had ARRIVED and was synonymous with 'First Class". I left just as the economic downturn occurred. When that happened, perhaps it was the beginning of something that the property could not recover from. It is sad to see how things change and not necessarily for the better. Can the author provide commentary on a couple of Questions I have below? 1. Can you site sources for this statement "It was during this renovation that the hotel started to lose sight of its core clientele: older, educated, wealthy and classy individuals."? What percentage of the hotel is made up of this core guest you refer to, and what was the decline year over year since the renovation? What is the average rate they bring in? What segment do they book in? How is this segment performing in the buckhead market? Do you really mean white guest and maybe perhaps this statement has racial undertones? 2. "The hotel sold off much of its finest art and furniture and replaced it with cheap, generic alternatives that looked like they could have come from the home section of ROSS Dress For Less." How much was the sale of the fine art? Where was the new furniture sourced from and what was the dollar allocation for furniture fixtures and equipment? Did the renovation just not appeal to you personally? 3. "Within the past year, a number of key personnel have left the hotel, not for other careers, but for comparable jobs at other hotels, in most cases other The Ritz-Carlton properties." You mention specific managers by name left the hotel not for other careers but for comparable jobs yet you do not list their new job? Is this because you don't know or because stating so does not help the tone of your opinion article? Is it only strange that they didn't leave the hotel for "other careers" because perhaps you did? To better help your cause how about stating what the turnover rate of the hotel is? that would seem to be a better gauge of health versus managers leaving for different opportunities which I suspect is common in the hotel industry. Also why are you an anonymous author when you refer to people specifically by name? 4. You weren't satisfied with the $20 Wal-Mart gift card. How many employees work at the hotel? How much does it cost to give everyone the $20? If you want a bonus why are you not working in a position within the hotel that does have one? 5. "Tonight for instance, a standard room at The Ritz-Carlton Buckhead is being sold for only $244 per night, whereas a standard room at St. Regis Buckhead is running $399 per night".  Quoting rates for one night that is searchable online gets your point across but does it tell the whole story? The St. Regis is a little over 110 room hotel. You state RCB is 510. Do you think a better gauge of health would be what the average occupancy year over year is? Has there been a decline since the renovation? what is the average rate of the hotel over the past year?. What is average growth of the buckhead market as a whole compared to the Ritz Buckhead? What is the rate of a comparable size luxury hotel for this night? What is the mix of standard retail guests at the St. Regis vs. Buckhead. Are you aware that the hotel offers different rates vs. the one you sighted? You can do better here. 6. "In my experience (as a past employee of the Ritz Buckhead), it was often the lowest paying guests that complained most often and were compensated the greatest amounts." What is the loss due to compensation for the low paying guests vs. the high paying guests? Can you back this statement with a source or is this just your opinion? How much does the hotel right off in compensation YOY? Since the renovation what is the trend YOY? Personally it sounds like you just didn't like providing problem resolution. Again you can do better here. I think the spirit of your article would have been much better received had you not thrown your clear personal animosity into the mix. Instead the article sounds like a hit piece. It's a shame because on the sales side it sounds like you put some effort into this and I enjoyed reading about the possibilities of change and you may have a scoop. On the biased side I think you just took some short cuts to get your opinion across. Keep trying you can do better. This article is in very poor taste. This is not journalism this is a bitter ex employee. As Anonymous said above, the comments about key leaders leaving in recent years / months is misleading. Nearly all of the leaders mentioned are still working for Marriott, and in the Luxury sector. They were all promoted to positions with more responsibility, and presumably higher pay. The same with the author's comments about the rates. A 510 room hotel will not always have rates as high as a comparable 151 room hotel without compression in the market. So while the author points out his experience working there to validate his comments, it is clear to experienced hoteliers that his frame of reference is too narrow to be viewed as an authority on the hotel business in general, much less the luxury segment. I travel all over the world and have stayed in several 5 star hotels. The RC Buckhead is by far the best and most pleasant hotel I have stayed in. Not only the rooms but all the staff are first class and will always promote you guys where ever I travel. You guys always seem to amaze me when I stay there with your professional behaviour and gesture. There is only one Ritz Carlton and the rest is second class.